The 2020 Ryder Cup at Whistling Straits is more than a year away, but the ticket market for the biennial event is officially open. Well, the ticket lottery that is. The lottery for 2020 Ryder Cup tickets opened on Tuesday, as golf fans can now register for the chance to own tickets for Whistling Straits in September 2020. You’ll have from now until September 13, 2019 to sign up on the Ryder Cup’s official website. Only those who register through the PGA of America’s Random Selection Process form will be allowed to buy individual tickets to the 2020 Ryder Cup. Those who register will be notified via email this October whether or not they have been selected to purchase tickets to the Ryder Cup. Whistling Straits will host next year's Ryder Cup. Keep your eyes out for ticket options and prices, which will become available during this upcoming summer. You don’t want to miss out on the Americans trying to defend their 2016 home turf title, right? This one won’t happen far from Hazeltine. 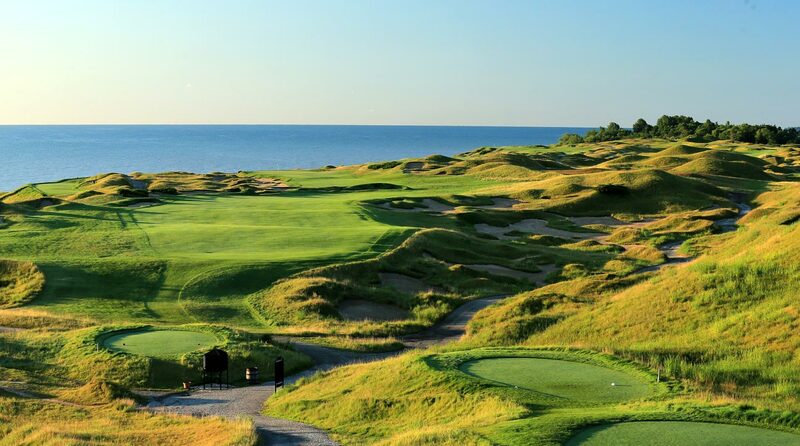 Whistling Straits is located in Kohler, Wisconsin, just a couple hundred miles from Hazeltine. For those looking to mark up their calendar, the 2020 Ryder Cup will take place from September 25-27. Steve Stricker will captain the U.S. team, while Padraig Harrington will lead the European team at next year’s event.